From WikipediaThis is a family photograph taken of Evangeline Ensley in the 1930s. As the literary representative of Walton's literary estate and a cousin, I scanned it for use in Walton's wikipedia entry and for Creative Commons CC-BY-SA use. Evangeline Walton was the pseudonym of Evangeline Wilna Ensley, who was born to a Quaker family in Indianapolis, Indiana. She was educated privately or taught at home due to illness. In 1924, her parents separated and divorced, and she lived with her mother and her grandmother. She read widely and later cited authors such as L. Frank Baum, James Stephens, Lord Dunsany and Algernon Blackwood as influences on her own work. She also had a passion for opera throughout her life. She published her first book, The Virgin and the Swine, in 1936. It was re-issued as The Island of the Mighty in 1970. Her best known works, the four novels retelling the Welsh Mabinogion saga, were written during the late 1930s and early 1940s, and her Theseus trilogy was written during the late 1940s. After she became a successful author in 1970, she reworked many of her manuscripts for publication over the next 20 years. She also published several short stories, the best-known of which are "Above Ker-Is” (1980), “The Judgement of St. Yves” (1981) and “The Mistress of Kaer-Mor” (1980). She also wrote seven unpublished novels, several more volumes of unpublished short stories, poems. and a verse play. 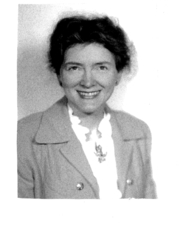 Evangeline Walton is currently considered a "single author." If one or more works are by a distinct, homonymous authors, go ahead and split the author. Evangeline Walton is composed of 3 names. You can examine and separate out names.